Shillong (English pronunciation: /ʃɪˈlɔːŋ/; Khasi: Shillong) is the capital and hill station of Meghalaya, also known as "The Abode of Clouds", one of the smallest states in India. It is the headquarters of the East Khasi Hills district and is situated at an average altitude of 4,908 feet (1,496 m) above sea level, with the highest point being Shillong Peak at 6,449 feet (1,966 m). 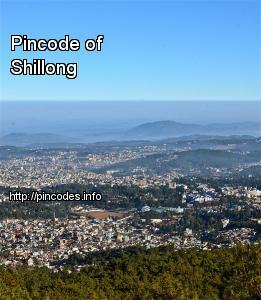 Shillong is the 330th most populous city in India with population of 143,007 according to the 2011 census. It is said that the rolling hills around the town reminded the European settlers of Scotland. Hence, they would also refer to it as the "Scotland of the East". Here is the full list of candidates contesting the Lok Sabha election in 2019 from Tura Lok Sabha constituency of Meghalaya. Here is the full list of candidates contesting the Lok Sabha election in 2019 from Shillong Lok Sabha constituency of Meghalaya.